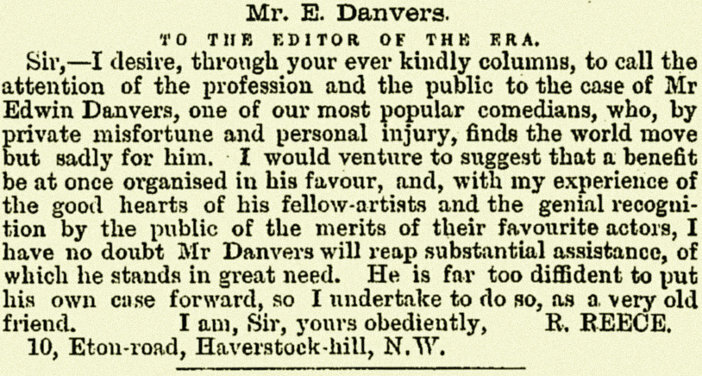 Edwin Danvers was the son of James Harold Danvers and Ann Haterley. He was one of the popular comedians and actors of his time. 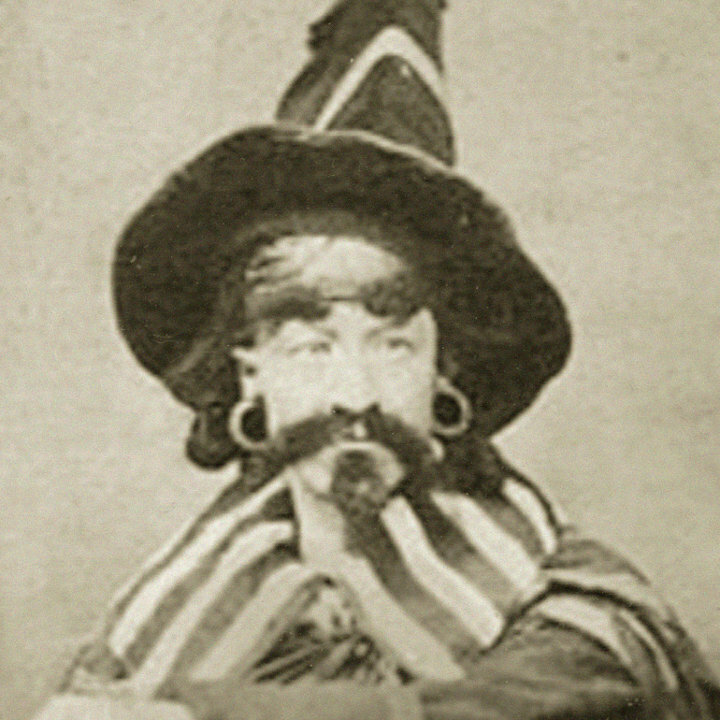 Edwin was most prolific in the 1860s and 1870s, as the first representative of many characters from burlesque stage dramas. 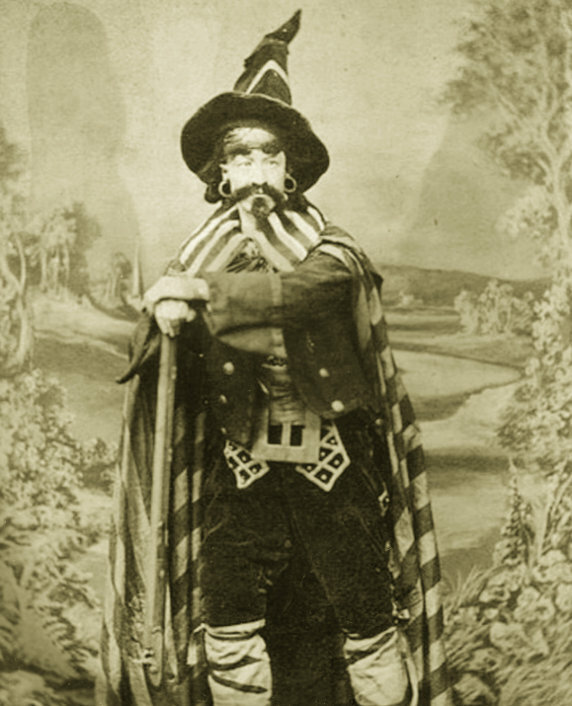 Pictured here is Edwin Danvers in the role of Scampi, in the production of Ernani by W. Brough at the Highbury Alexandra in 1865. Edwin was also The Goat in Esmerelda in 1861, Dame Hatley in in Black-Ey’d Susan in 1866, Devilshoof in Merry Zingars in 1868, Nurse Margery in Beast and the Beauty in 1869, and Von Schlachenstein in Gentleman in Black, 1879. Jessie Danvers married George Belmore of the Belmore family of actors. This entry was posted in The Danvers. 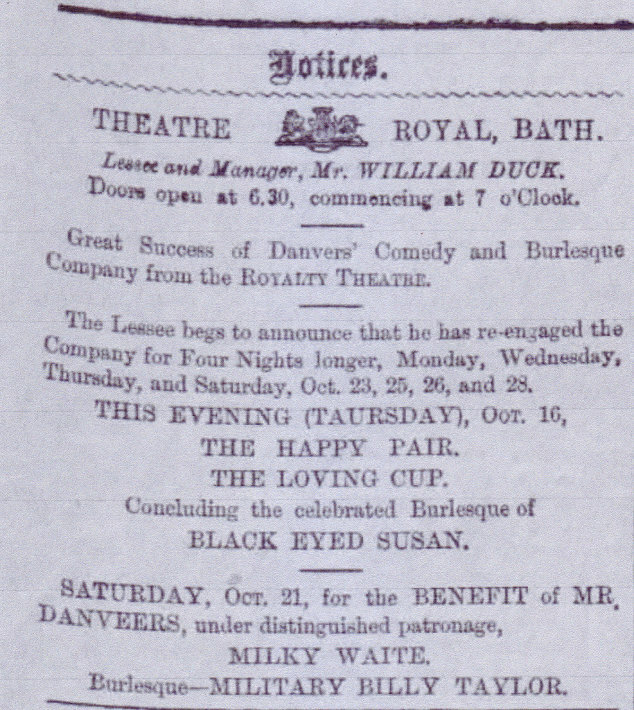 James Danvers 1856 - ?